Robert Malcolm “Bob” Sapp was born on the 22nd September 1973, in Colorado Springs, Colorado USA, and is a man of many talents, since his career has varied from mixed martial arts to kick boxing and acting. In the past he was also an American Football player for the Minnesota Vikings of the National Football League (NFL). His career has been active since the mid-’90s. Have you ever wondered how rich Bob Sapp is, as of mid-2016? 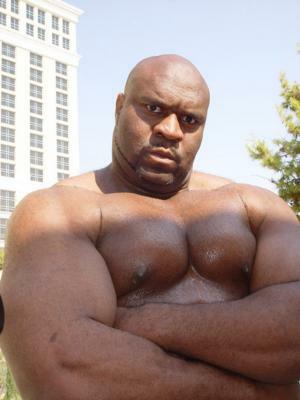 According to authoritative sources, it has been estimated that Bob Sapp`s net worth isover $3 million, an amount he owes mostly to his career as a fighter, during which he has won several titles, including IWGP Heavyweight Championship and WWA World Heavyweight Championship, among others. His other talents, including acting and singing have also increased his net worth, as he has appeared in several films, and has released the album “It’s Sapp Time”. Bob attended Mitchell High School in his hometown, where he began playing football, and as he grew older he became more focused on the game, so that after he matriculated he received a scholarship from the University of Washington. Bob continued to play football, and eventually won the Morris Award for his great offensive performance. From university he entered the 1997 NFL Draft, in which he was selected as the 67th overall pick by the Chicago Bears. However, he was traded to the Minnesota Vikings, but played in only one game before he got suspended for steroid abuse. After that, Bob worked in a funeral home, but was dissatisfied with his paycheck, and decided to pursue a career in kick boxing and wrestling. He joined NWA Wildside in 2001, and was then brought into World Championship Wrestling under a development wrestler contract, however after the company was sold to World Wrestling Federation (WWF), Bob left and became a part of the New Japan Pro Wrestling (NJPW). Little by little, Bob`s career improved, and in 2004 he won the IWGP Heavyweight Championship by defeating Kensuke Sasaki, which increased his net worth by a large margin. Furthermore, Bob wrestled in the WWA, which is based in South Korea, and managed to win the Heavyweight Champion title, defeating Lee Wang Pyo, which also increased his net worth. To speak of his career as a kick boxer and mixed martial artist, he fought in 60 matches, winning 23 of them, which only increased his net worth. During his career, he fought in several promotions, including Pride, K-1, Srikeforce and others. He is currently under contract for the Rizin Fighting Federation, which has also added to his net worth. His most recent match was against Akebono, which he won by technical decision in the second round. During his career, Bob has fought against fighters such as Hiraku Hori, Yoshihiro Nakao, Seth Petruzelli, Kimo Leopoldo, Sascha Weinpolter, Bobby Lashley, Aleksander Emelianenko, Soa Palelei, and Rolles Gracie, among many others. He has developed several signature moves while in wrestling federations, including avalanche hold, beast backdrop and muscle buster, among others. Bob`s net worth has benefited also from his acting talents, as he has appeared in several film titles, including “Elektra” (2005), “The Longest Yard” (2005), “Conan the Barbarian” (2011), and TV series “JourneyQuest” (2012-2013). When it comes to speak about his personal life, little is known in the media about him, as he tends to keep his life a secret. Although, he is quite active on social networks including Twitter and Facebook, on which he has a great number of followers. 1 Lost at K-1: MMA Championship Romanex on 22nd May 2004 to Kazuyuki Fujita. 2 Won the IWGP World Heavyweight title from Kensuke Sasaki on March 28, 2004 in Tokyo, Japan. 3 Played college football at the University of Washington. 4 Former NFL player for the Chicago Bears in 1997 and then the Minnesota Vikings from 1997-1998. 5 Mixed Martial Arts and K1 fighter in Japan.